In drop-sip model, product is shipped directly from manufacturer end bypassing a retailer. Benefits of aggregation can be achieved, if the manufacturer can keep some of its inventory at the retailer end on and as needed basis. In addition, drop-shipping offers manufacturer an opportunity to postpone customization until the customer has placed order finally. Response times tend to be long, because the order has to be transmitted from retailer to the manufacturer and shipping distance are generally longer from the manufacturer’s centralizing site. Order visibility is very important in the context of manufacturer storage, because two stages in the supply chain are involved in every customer order. But a manufacturer storage network is likely to have difficulty handling returns, so that customer satisfaction may be hurt. Because, each order may involve more than one manufacturer. 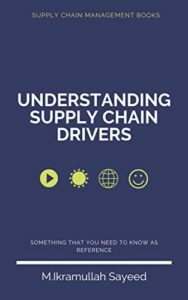 In a supply chain, it is required to choose a distribution network among various options. 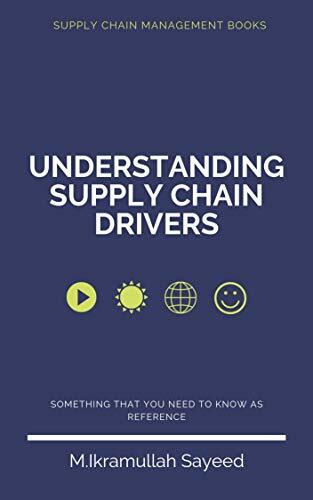 Supply Chain managers need to decide that where is the customer location to deliver the goods or if there would be any intermediary, such as, a carrier. 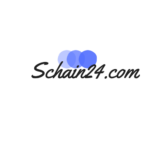 There are various ways to distribute products from factory to customer, which is based on the product nature to be delivered and other options to obtain the highest supply chain value according to their competitive supply chain. In some cases, product is shipped directly from manufacturer end bypassing a retailer. 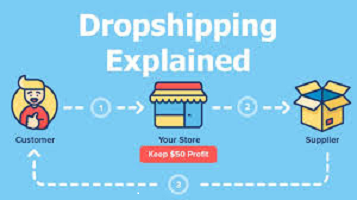 It is a typical type of drop shipping, with product directly delivered from manufacturer to customer. Greatest advantage of this kind of drop-shipping method is centralized inventory at the manufacturer end. When the manufacturer serve the product to the retailer, then also they aggregate order across all retailers that it supplies. Therefore, the supply chain is able to provide a high level of product availability and lower levels of inventory. And the ownership structure permits the manufacturer to own the inventory. Above mentioned positive side can be achieved, if the manufacturer can keep some of its inventory at the retailer end on and as needed basis. And the benefits of centralization are higher, when the inventory are of high-value, low demand and of unpredictable demand. In addition, drop-shipping offers manufacturer an opportunity to postpone customization until the customer has placed order finally. It lowers the inventories further by aggregating to the component level. Dell and other built-to-order companies hold inventories at the component level and postpone product customization, thus lowering the inventory carried. Usually in drop shipping model, inventory cost is lower, but transportation cost is higher. It is due to the average outbound distance to the end customer is large. Package carriers charge higher than other modes of shipments, e.g. truck load, less than truck load etc. Even multiple manufacturer in aggregation of outbound transportation increases cost. 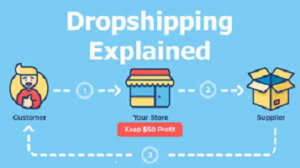 In drop-shipping model, response times tend to be long, because the order has to be transmitted from retailer to the manufacturer and shipping distance are generally longer from the manufacturer’s centralizing site. Order processing may take one to five days and ground transportation may take three to eleven days. Sometimes, there are multiple partial shipments based on customer order that take receiving at customer end more difficult. But a plus point in drop shipping is that it has no shelf-space barrier to serve the customer. Drop-shipping model allows a new product to be served to the market after the first unit is produced. Order visibility is very important in the context of manufacturer storage, because two stages in the supply chain are involved in every customer order. Failure to provide this capability is likely to have significant negative effect in order delivery and customer services. Direct seller Dell’s order visibility is simpler to provide. A manufacturer storage network is likely to have difficulty handling returns, so that customer satisfaction may be hurt. The handling of returns are also expensive in drop-shipping model. Because each order may involve more than one manufacturer. Thus, at present IBM’s decision to stop selling many slow moving configurations at retail stores would appear better than that of Gateway to open retail stores. Gateway has engendered a network of retail stores but is not exploiting any of the supply chain advantages such a network offers because no products are sold there. To exploit the benefits of the retail network it would make sense for Gateway to sell their standard configurations at the retail stores with all other configurations drop shipped from the factory. Apple has decided to open some retail stores and genuinely carry product for sale at these stores. The value integrated increases if distributors carry products from many manufacturers. Reduction in outbound conveyance cost because the distributor amalgamates products from many manufacturers into a single outbound shipment. Distributors are able to offer one stop shopping with products from several manufacturers. Yes, very true analytics explained lucidly.